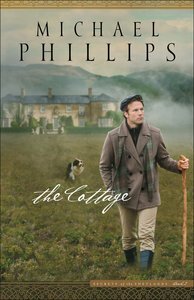 About "The Cottage (#2 in Secrets Of The Shetlands Series)"
Michael Phillips is today recognized as one of the Christian bookselling industry's most prolific and versatile authors. He has authored more than 100 books, with total sales exceeding five million copies. He's also the editor of the popular GEORGE MACDONALD CLASSICS series. He and his wife make their home in Eureka, California. A contested inheritance throws a tiny Shetland Islands community into turmoil, and its future hangs in the balance as a shadowy group of oil investors pulls strings. Washington DC investor Loni Ford becomes deeply involved as she discovers her own roots on the island. Loni Ford has grown to love the remote Shetland Islands fishing hamlet where she has inherited substantial real estate and a title. When a local turns up dead, suspicion is cast in the direction of the island's most prominent family, with whom Loni has developed strong ties.